We all have things that we keep re drawing in our mind each day, if what you are re drawing is positive things and expanding on them that is awesome but if not shake that Etch A Sketch at the end of the day. Start out with a fresh Etch A Sketch each day, we are the ones that control our future and if your past is not something that you want to keep living shake it clean. It might not be easy to do this at first but if you think of the Etch A Sketch and how temporary these negative things really are and you can wipe them clean it will be easier to move forward into the life you deserve. We are not meant to relive our mistakes each and every day, we choose to do this…. It is insane but we are our worst critics at times. Here is a great framework for a great start on your day, it may seem cheesy but hear me out..
Next right down three things you are grateful for. When you are about to go to bed right down three more things you are grateful for about your day or in general. Do this for 21 days straight and see if your life begins to change. I can guarantee if you really follow through it will and you will be happy with the results. Shake that mental Etch A Sketch each day and choose to be happy and the most successful person you can. I don’t work with everyone, if you are someone who wants to be happy and healthier and grow as a person check out what I’m doing here. 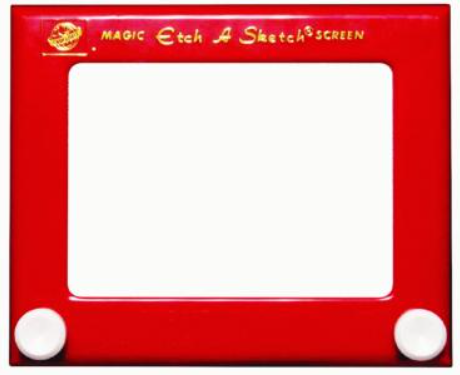 Thanks for stopping by and checking out my post on Live Like an Etch A Sketch.